What is your role at GLD? I’m the product manager for GLD Digital at the Government Legal Department. I develop products and services that enable government lawyers to better serve their clients: civil servants across government. Our core product is a website that provides legal information for civil servants. My role brings together my background in a very harmonious way. 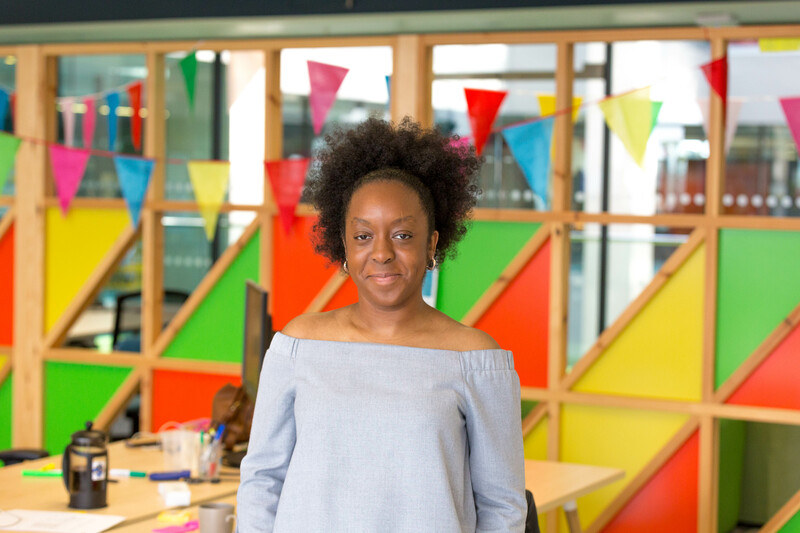 I originally studied Law and even qualified as a barrister, but I found my way onto the Digital, Data and Technology scheme of the Civil Service Fast Stream. On the Fast Stream, I spent a year working as a software developer, a user researcher and also a delivery manager. When I saw the role at GLD, I knew it was the perfect opportunity to bring my skills together. What excites you about the area that you work in? Conversations about LawTech are sometimes reduced to talk of ‘robot-lawyers’ but, for me, it’s about supporting relationships and solving problems. We are exploring tools that aid collaboration between lawyers and clients, whether in the drafting of legislation or the preparation of court cases. We are also investigating ways of making legal processes easier, replacing paper-based, manual processes with digital ones that focus on the needs of users. I am currently developing a website that provides basic legal information to civil servants. It provides them with the knowledge they need to do their work legally and effectively or, in some cases, to have informed and productive conversations with their lawyers. The lawyers embedded across government work closely with civil servants in other professions. The work my team does supports those relationships for the benefit of the public. One day I might be writing user stories, the next day I might be assessing key performance indicators and creating reports and dashboards. Some days my role is very technical and I’m deep in infrastructure and code with my developers, other days I’m discussing statutory legislation and EU Exit with lawyers. I don’t really have a typical day but there are some recurring themes in my work. I do a lot of translating: translating user research into product features and translating product features into technical requirements. I work with legal directors and software developers. It’s my job to ensure that we are on the same page, even if we’re not all speaking the same language. Problem-solving is another big theme in my work. In a sense, a service or product is the solution to a big problem. In the process of developing these, our team encounters repeated problems: resolving conflicts between user and business needs, overcoming the limitations of technology and infrastructure, working through team differences of opinion. My role is to provide solutions and support others to do the same – never a dull moment! There is nothing quite like getting your product in front of users. I’m particularly excited when they offer challenge or do something unexpected, it’s another exciting problem to solve. Our product recently entered public beta, with a limited rollout to users in Whitehall. I’ve been glued to Google Analytics ever since. I’m excited to iterate and make it even better for users. What’s the most valuable thing you’ve learnt in your role? I previously thought that the most important thing about being a product manager is the product that you build. I’ve come to realise that what is far more important is the the team that you build, the systems and the processes that you build, the organisational practices and behaviours that you build and, of course, the relationships that you build. It is by excelling in all of these that you can build an excellent product. Esther Kuforiji is Product Manager at the Government Legal Department. She is also working to widen access to technology with Sisters in Tech and Freedom Code. You can find her @EstherKuforiji.